Are you yearning for a radiant life with great health, peace of mind and plenty of energy? Do you sometimes feel overwhelmed by all the wellness claims out there and wish you could find leading-edge information you can trust? Make your way through misinformation and discover the 10 keys for achieving ALL your health goals in 2016… and for years to come! Longevity expert and author David Wolfe shares tips for becoming the best version of yourself through a diet that is healthy and thriving. Some non-organic foods may contain as many as 20 different types of chemical residues, Wolfe says. This combined with the bombardment of environmental toxins we’re exposed to, from automobile exhaust to chemical emissions from carpeting and furniture, makes it essential to only put the purest and healthiest foods possible into our bodies. 2. Eat beyond the rainbow. We’ve heard of “eating the rainbow,” but Wolfe has drilled down to discover that the various pigments in foods go beyond basic nutrition to impart properties and essences that support health and well being in myriad ways. Red: These foods are all about chi, energy, and support the heart and blood. Beets, red bell pepper, raspberries, watermelon, cooked tomato, red meat. Orange: Anti-inflammatory. Turmeric is one of the best natural substances to help reduce inflammation in the body. Yellow: Promotes tissue repair and tissue building. Yellow squash, yellow bell peppers, pineapple, lemon peel, capers. Green: These foods contain chlorophyll, which neutralizes toxins and removes them from the body. Leafy greens, parsley, cilantro, sea vegetables. Purple: Supports the nervous system. Plums, berries, eggplant. Black: Foods with black pigment are rich in zinc and promote jing, or life essence and longevity. Black rice, black beans, olives (and olive oil), mushrooms, raw cacao, black chia seeds. 3. Incorporate more raw foods into your diet. Raw and especially local, wild-crafted raw foods contain potent vital energy that’s non-stimulating (think: natural caffeine without the buzz). These close-to-the-earth foods also vibrate with life essence that connects you spiritually to the natural world. Eating only organic foods is the first step, but to counteract the impact of environmental toxins, we need to fortify our diets with “super foods,” or foods that pack an extraordinary nutritional punch. Blue-green algae, chlorophyll, hemp, acai, sea vegetables, cacao, avocado. Probiotic rich foods, like kefir, support digestion and help boost immunity. Other choices include kombucha, live fermented foods like kimchi, or taking a probiotic formula with each meal. 6. Be aware of food combinations. 7. Include fiber in every meal. Digestion for most of us is a form of energy leakage, Wolfe says. Concentrated (dairy, meat) or cooked foods should always be eaten with fiber, such as a leafy green salad, to keep these foods moving through your system. 8. Eat a bit less than you think you need to, and fast regularly. When you eat less you feel clearer and lighter and you actually function better, Wolfe says. “You’re just a little bit more on top of your game.” Regular intermittent fasts also give the body a break from the work of breaking down and digesting, and reboot metabolism. Like super foods, super herbs contain massive amounts of nutrients in very small quantities. These include reishi and chaga mushrooms, nettles, horsetail, astragalus, gynostemma and green tea. 10. Know your individual needs. Beyond these dietary “musts,” a person’s food needs are highly individual, depending on factors including your personal health condition, genetics, environment, even blood type. “Understand your uniqueness and then qualitatively improve your diet for the type of person that you are and the type of diet that you can really live on and thrive on,” Wolfe says. 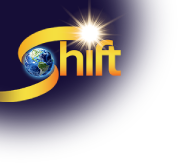 PS - David's tips are from The Shift Network’s Winter of Wellness series. For more tips on eating right (for YOU!) in the new year and other tools for optimal wellness, check out this year’s Winter of Wellness and kick-start your WHOLE-body health!